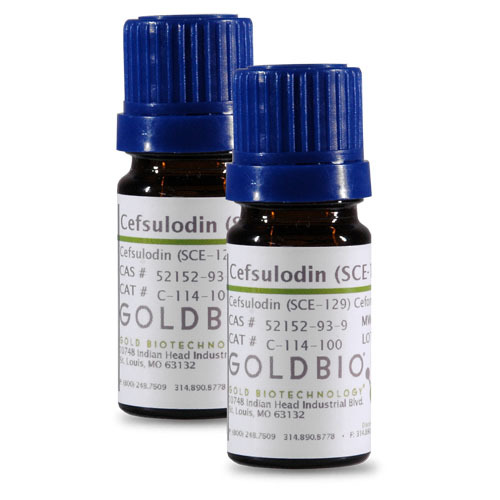 Cefsulodin is a third generation cephalosporin antibiotic used as a selective agent in isolation media such as Yersinia Selective Agar, Columbia Blood Agar, Salmonella Chromogenic Agar, and CIN Agar. It is mildly effective against gram-positive and gram-negative bacteria, but exhibits greater efficacy against Pseudomonas aeruginosa. In addition to its antimicrobial properties, cefsulodin is a substrate for the rat Oatp1a4 transporter. Cephalosporins are a type of β-lactam antibiotic consisting of a four-membered β-lactam ring bound to a six-membered dihydrothiazine ring. This two-ring system causes distortion of the β-lactam amide bond, resulting in decreased resonance stabilization and increased reactivity. β-lactams inhibit the formation of peptidoglycan cross-links within bacterial cell walls by targeting penicillin-binding proteins or PBPs. Consequently, the bacterial cell wall becomes weak and cytolysis occurs. 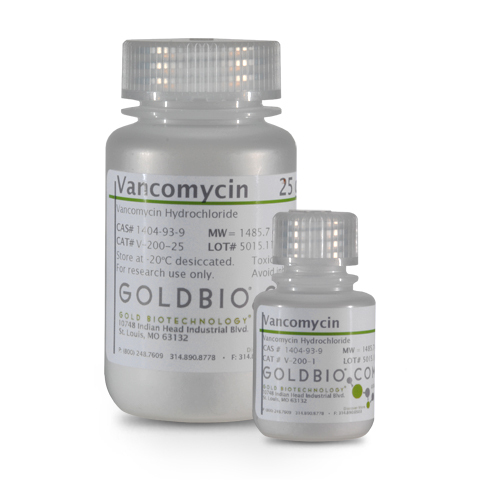 Cephalosporins are less susceptible to β-lactamases than the penicillin β-lactam antibiotics. Storage/Handling:Store desiccated at -20°C, and protect from light.